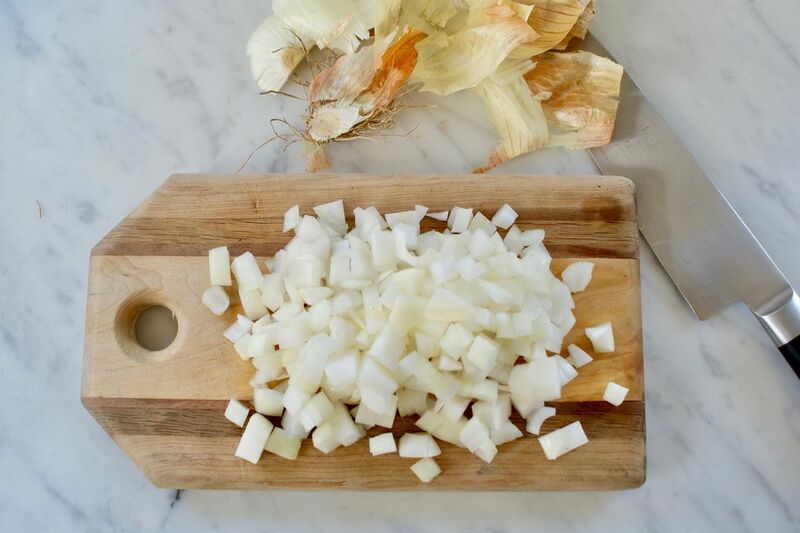 There are times when evenly chopped onions are key to a recipe's success: stir fries and sautées, tarts and quiches, and other dishes where the pieces of onion will be visible in the final dish or where even cooking is key. The following method is the classic chef technique for evenly chopping onions. It may take a tiny bit of practice, but it's worth mastering—it will make future cooking endeavors all that much easier. Onions are great storage vegetables, when they're stored in a cool, dark place. When exposed to heat or light, they spoil quicker. Look for onions with smooth skins, that feel heavy for their size, and that are very firm. Use a very sharp knife to cut off and discard the root and stem ends of the onion. The onion doesn't have a flat side to set it on yet, so exercise extra caution and hold it steady. And yes, you want a very sharp knife. The cuts are cleaner and it's safer. Yes, safer. The sharp blade will cut right through the onion, whereas a dull blade is likely to slip and cut you. Set the trimmed onion on one of the flat cut ends and then cut it in half lengthwise through the root end, which will hold the halves together. Hold the onion steady by pressing down with the palm of your hand or carefully by the root end. Using that same very sharp knife, carefully make horizontal cuts into the onion, leaving the root end intact. 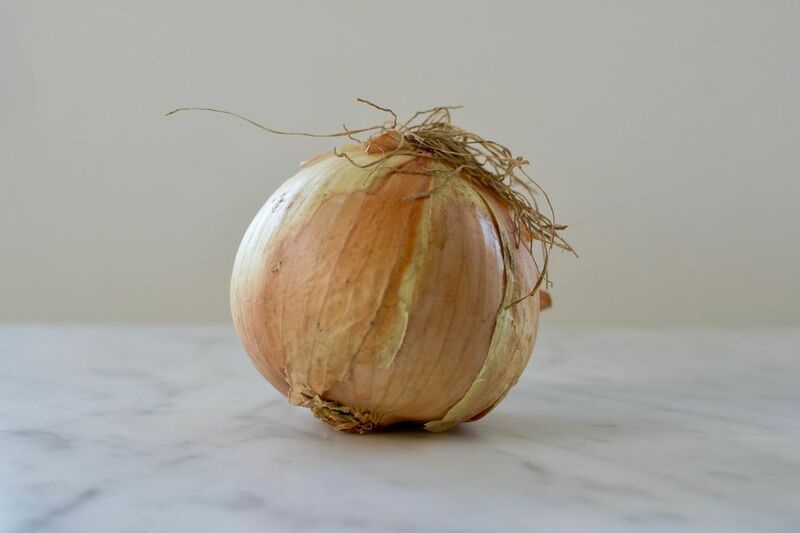 Keeping your finger tips at the root end to hold the onion steady and to keep your fingers out of the way, use a very sharp knife to make cuts into the onion lengthwise, again being careful to keep the root end intact (and thus holding the onion half together). Like the horizontal cuts, the number and spacing of the lengthwise cuts help determine the size of the final chop, so make them accordingly. Hold the onion by the root end and cut the onion crosswise—resulting in a perfectly evenly chopped onion! Marvel at the beauty and evenness of your chopped onions! Then use them in the recipe of your choice, knowing they will cook evenly and look fabulous.